Bennett Koch (cook) scored 20 of his career high 25 points in the second half as Northern Iowa pulled away to a 72-43 win over Wartburg in the McLeod Center. The inside play helped offset a cold night from the perimeter that saw the Panthers at one point miss 20 of 21 shots from three point range. UNI improves to 2-1. Jaran Sabus led Wartburg with 12 points. 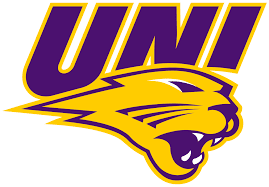 On to some UNI football now, with an eye on the FCS playoffs the Northern Iowa Panthers close the regular season at home against Indiana State on Saturday. The Panthers are 6-4 overall and tied for second in the Missouri Valley race and host a Sycamore squad that is 0-10. That’s Panther coach Mark Farley who says Indiana State has played well against some of the best teams in the Valley. Farley says a key to their success has been the play of an offensive line that has battled a rash of injuries. Farley on the improvement of their defense. The Panthers have felt like they have been in a must-win situation for several weeks and this one is no different.